Businesses, educational institutions, private schools, museums and other organizations often offer onsite dining solutions for their patrons and employees. However, it can be difficult to find a reliable company that offers the highest quality food at the most reasonable rates. Ar Monumental Food, we are a catering company that provides the metro Washington DC area corporate dining concepts that fulfill the needs of all types of customers. 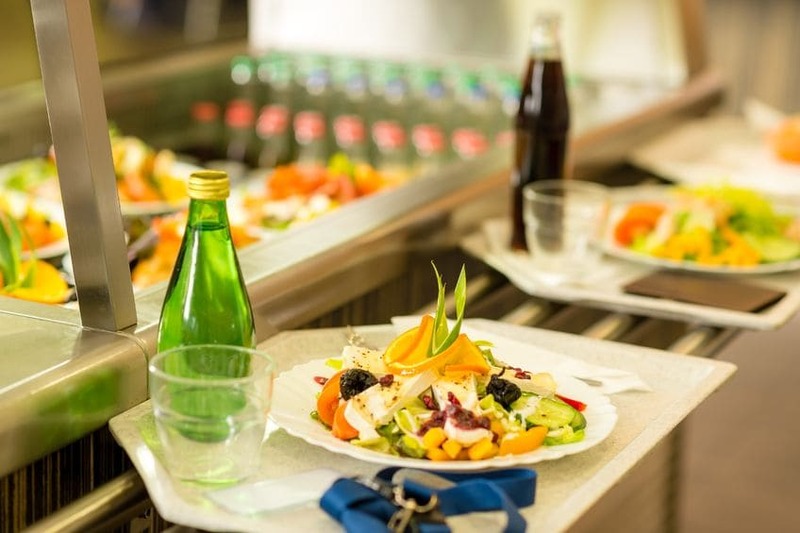 A carefully designed corporate dining program that offers well-balanced meals can increase participation, attract and retain top talent, connect with employees and bring a company culture to life. There are other catering companies that offer Washington DC corporate dining programs, but not all of them offer the same flexibility. At Monumental Food, we strive to provide a fully customized solution to each of our clients. We listen to the food choices you want and help you create a menu your guests and employees will love. You will be able to create a menu designed just for your target audience. If you determine the menu isn’t working, we will work with you to make adjustments until you have exactly what you need. Sometimes you will encounter corporate dining programs that are only focused on one or the other. However, when you choose us, you will find we can implement elements of both. You can offer healthy alternatives that taste great at the same time. This can give your corporate dining a boost in sales and help promote employee health at the same time. Many companies are beginning employee health incentives, and our corporate dining programs can be a great way to boost morale and further your efforts. At Monumental Food, we strive to bring our customers’ the best catering service available, while eliminating the stress of planning your next catered event. See for yourself what some of our customers have to say about us. I have been using Monumental Food for a little more than a year for many of my business luncheons. I can always count on the food to be fresh, delivered on time and professionally and creatively presented. I appreciate being able to customize my menus and ensure that everyone’s specific dietary requirements and needs are taken care of. Being able to offer more than just “sandwiches and salads” helps keep the meals far from boring. I would highly recommend Monumental Food for luncheons, small parties or other corporate events. Monumental Food has made our employee luncheons such a wonderful experience. Not only was the food delicious, but working with this company has taken the stress out of planning a lunch for 50 plus people. With such a large variety of choices it makes the perfect meal for businesses and personal parties! The employees of Monumental Food have gone above and beyond our expectations of providing reliable, affordable, and most of all ENJOYABLE luncheons. Just a note to express our appreciation for the superb job you did in catering the Partners Dinner. The people at my table – and later I heard it was unanimous – gave the highest praise to the food. The presentation was as outstanding as the food…to say we were pleased is an understatement!